Most kids are fascinated by clouds. Although most movies show clouds being solid, clouds are simply water vapor suspended in the atmosphere. When hot and cold air collide, a cloud is made if there is enough moisture in the air. 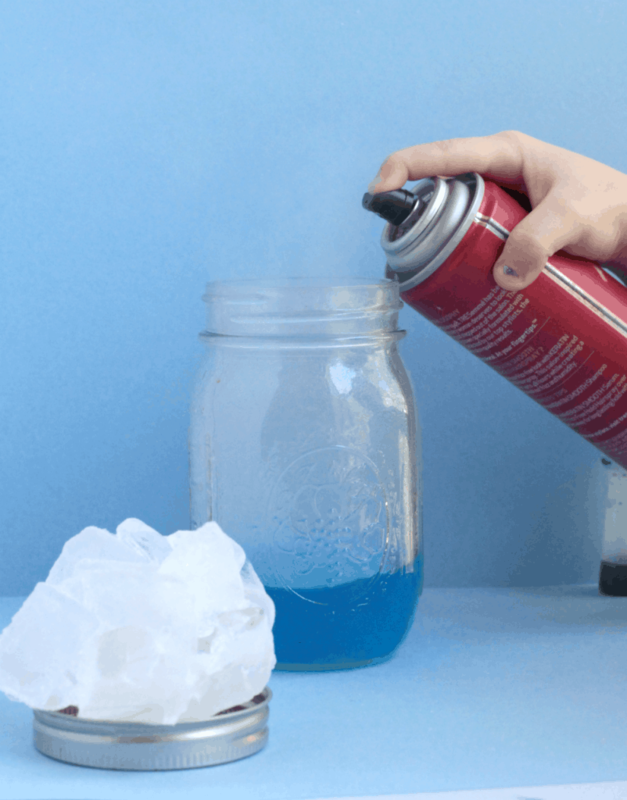 You can make your very own cloud in a jar by following the steps below. Kids will love how the cloud magically appears. 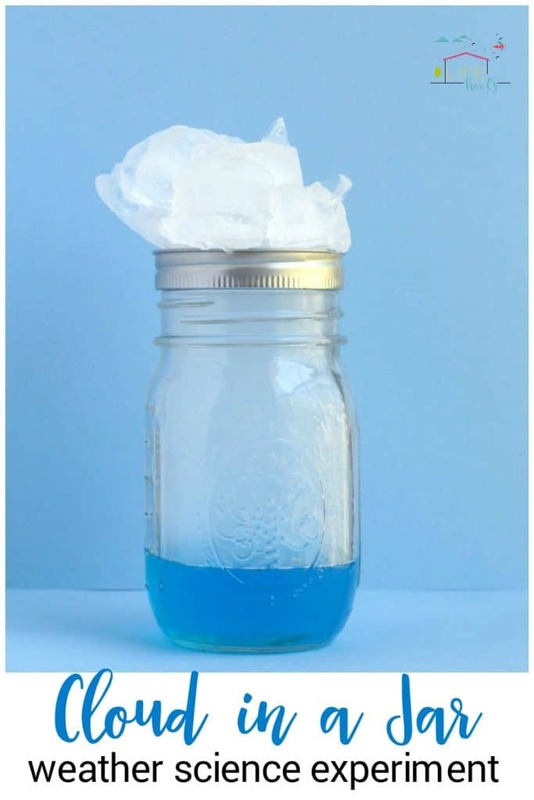 This activity is the perfect science experiment to do during a weather unit study. 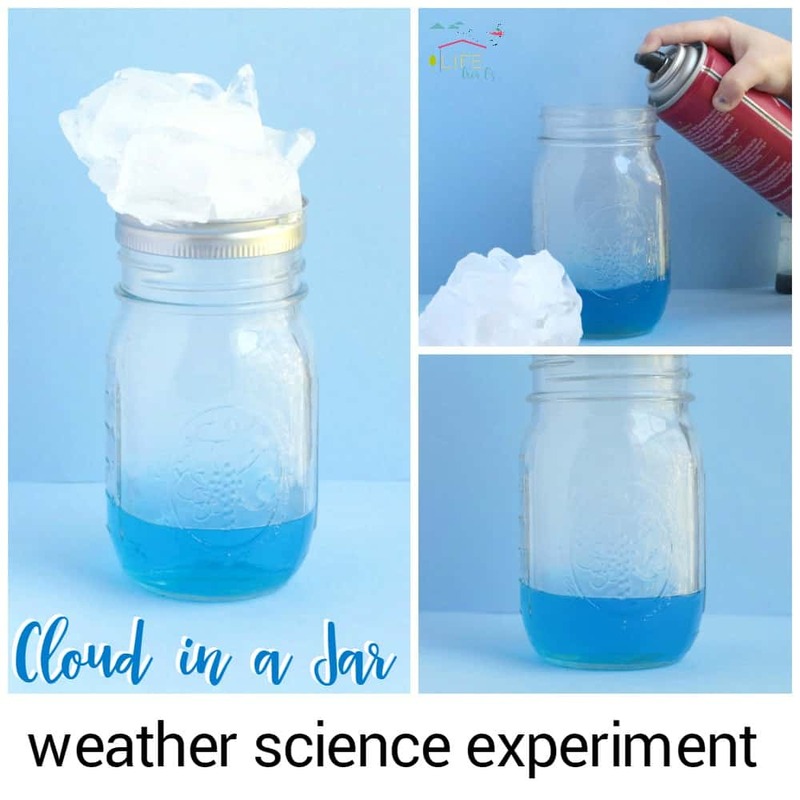 Clouds are formed when hot air mixes with cold air and creates condensation. 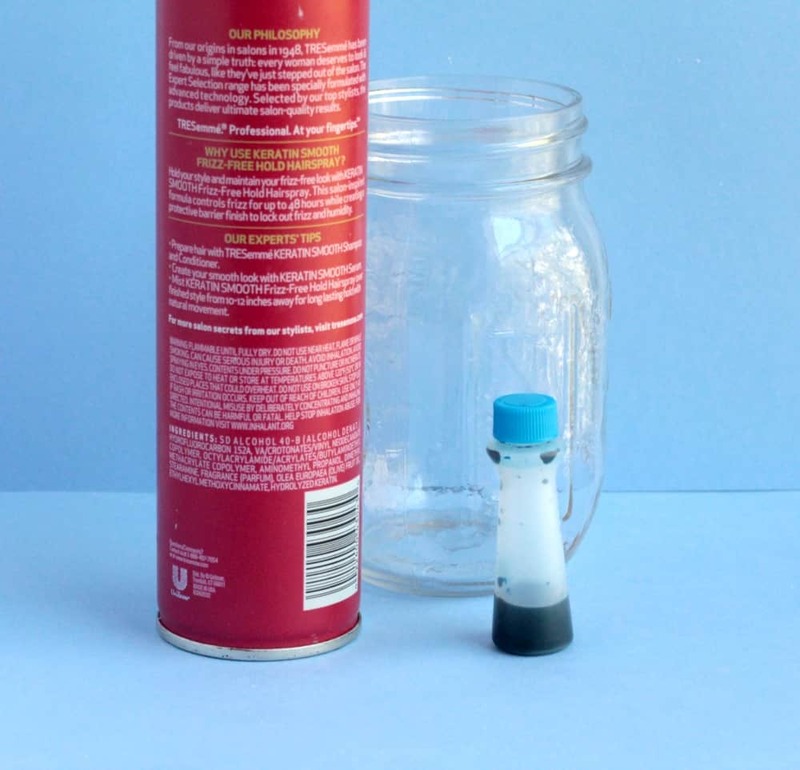 You can make this happen inside a jar using these steps. First, heat water to boiling. Add blue food coloring if you like. We thought it was easier to see the cloud if the water was blue. Place ice on the top of your mason jar lid. Pour the boiling water into the mason jar. Don’t let kids touch the hot water! Pour in about 1/2 a cup of hot water into the jar. Spray the surface of the water with hairspray. The hairspray helps the condensation linger on the surface of the water, which helps the cloud form more quickly and makes it easier to see. 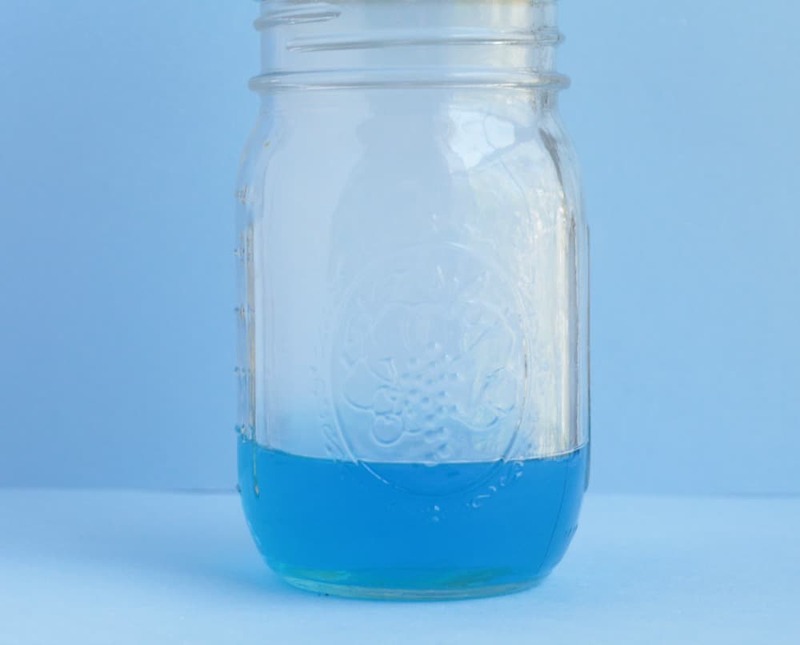 Put your jar in front of a dark piece of paper and you’ll be able to see the cloud even better. Quickly put the lid with the ice over the jar. Within seconds, the cloud with start to form! After the cloud forms, lift the jar and watch it float away! If you leave the lid on the jar, you’ll note that after a couple of minutes, the cloud disappears. 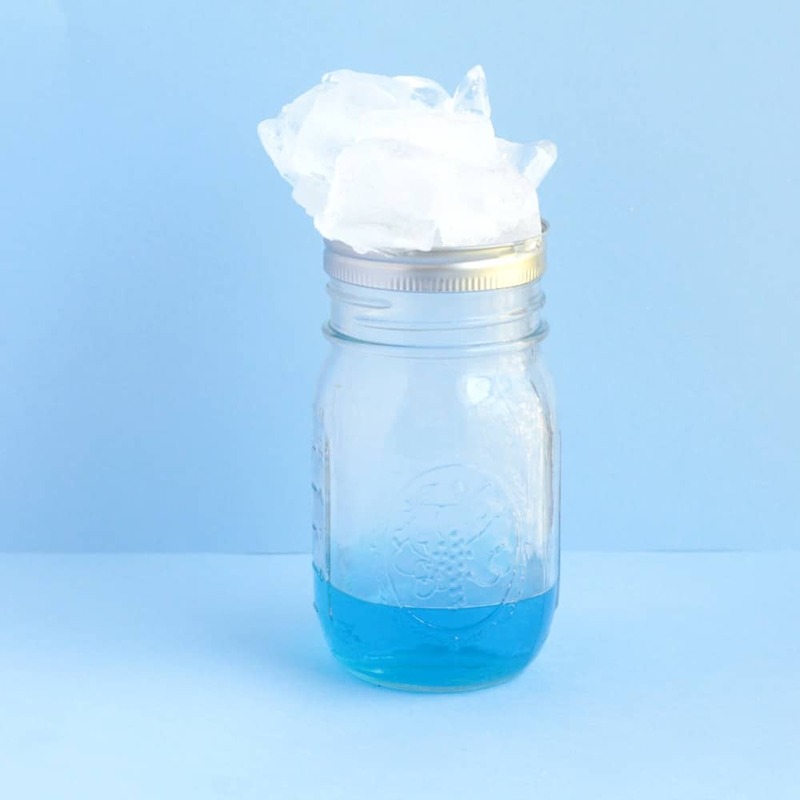 This happens when the water cools too much and there is no longer a big contrast between hot and cold in the jar. You can add more hot water and repeat the experiment as many times as you want!